We love the holidays! And we really love making gifts and getting our kids involved is always fun. 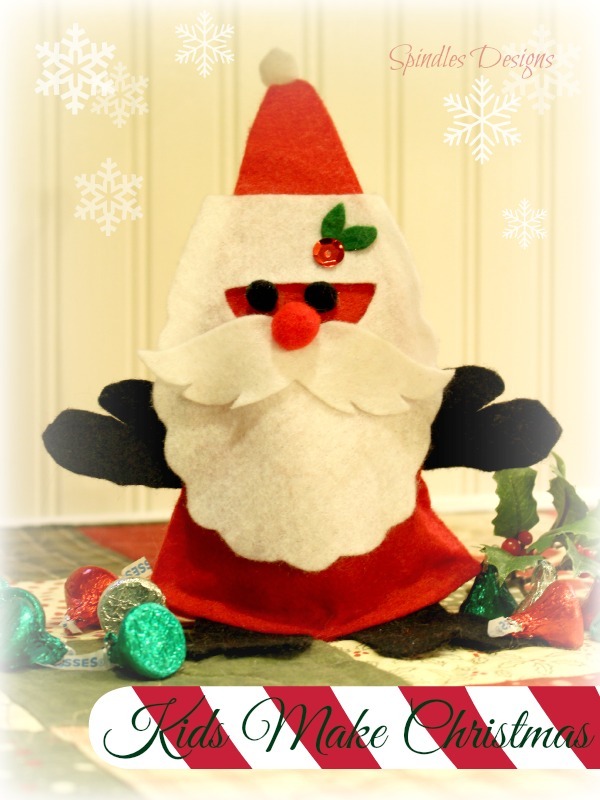 Our felt Santa is filled with holiday candy. It is the perfect craft for kids to make gifts for friends or teachers. It also works great for decorations around your house. Santa can either be glued together (very kid friendly) or sewn together (for us big kids). Hint: for fabric glue allow 24 hour drying time before adding candyThis simple pattern will be a great craft for kids of all ages. You can also find us on Facebook, Pinterest, and Twitter. Enjoy! This would be so fun to make in a classroom! I may pass this along to our teacher as a suggestion!